The main opposition parties, the All Progressives Congress (APC) and the United Progressives Party, UPP, at the weekend, took a swipe on the Independent National Electoral Commission,INEC, over the recent redeployment of Resident Electoral Commissioners,RECs, ahead next month’s general elections. The Chairman,Enugu State chapter of APC,Mr. 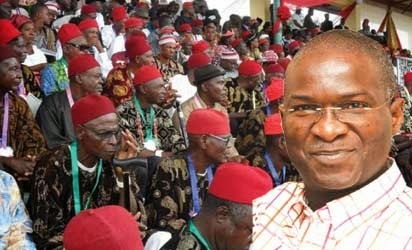 Ben Nwoye said,”it is bad for INEC to routinely, switch the RECs few weeks before the general elections. It shows that INEC trusted in the conduct of the elections. He posited that these RECs must have built confidence with the political stakeholders in their various states. The APC chieftain who described the recent exercise as a recipe for disaster, stated that the re-deployed RECs already appreciate the geographical terrain of their operations as well as gasrn3ered knowledge of their states. Since popular Yoruba actress, Moji Olaiya, walked out of her marriage; it has been particularly difficult to track her down. Saturday Vanguard cornered her at an Inter House sports competition event in Gbagada, Lagos, where she was the matron of one of the Houses competing for prizes at the event. Many actors have complained over time that the government has abandoned the film industry, in what respect can the government assist the industry? Nigeria assistant coach Daniel Amokachi insists Stephen Keshi remains in charge of the Super Eagles, despite his contract having expired last year. Keshi’s deal with the Super Eagles came to an end after the 2014 World Cup, although the tactician maintained the reins throughout their failed AFCON qualifying campaign, where they finished third in Group A. Question marks still hang over the role Keshi will have with Nigeria in 2015, but Amokachi, who is preparing the side ahead of friendly matches against Sudan and Ivory Coast, insists the coach is still very much in charge of the team. “This is not my team I’m only sitting in for my boss, Stephen Keshi. I can;t betray him. He’s the boss and I’m only here to do a job as a coach,” Amokachi told Cool FM. 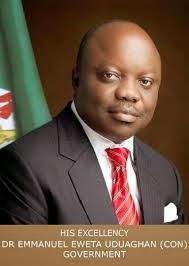 The All Progressives Congress (APC) in Rivers State has described as totally unacceptable, the kite being flown by the Federal Government about the possible arrest and trial of the State Governor, Rt. Hon. Chibuike Rotimi Amaechi, in connection with some of his recent public statements in his capacity as Director General of the General Muhammadu Buhari Presidential Campaign Organisation (GMBPCO). Meanwhile the Rivers State Chapter of the Peoples Democratic Party, PDP said that public declarations by the outgoing governor of Rivers State, Rotimi Amaechi were treasonable. The PDP therefore, calls for the arrest and trial of Rotimi Amaechi to protect the peace and unity of the country. Governor Rotimi Amaechi’s call to form a parallel government if the All Progressives Congress, APC loses the general elections and his call on soldiers to protest, are calls to arms, incitement at best from one who is the chief security officer of a State. Alhaji Aliko Dangote is from a very wealthy family in Kano. He is related to the late Alhassan Dantata, who was reputed to be one of the wealthiest Hausa merchants in Kano as at the time of his demise in 1955. However, his wealth dwindled as it was shared among 18 children. Despite the death of their mentor, the Dantata Dynasty remains an indispensable force in virtually all spheres of human endeavour in the northern Nigeria, particularly in Kano state. Today their fortune may not equal that of some families who recently made the list of wealthy Nigerians since the death of the founder of the empire. Almost 59 years after, the death of the great Dantata of Kano seems to have washed away the fame of the dynasty, but the great grandson in the person of Alhaji Aliko Dangote has emerged to occupy the vacuum created by the exit of Dantata. In March, 2014, he was reported to worth over $25 billion USD. Dangote is ranked by Forbes Magazine as the 23rd richest person in the world and the richest in Africa. He surpassed the Saudi-Ethiopian billionaire’s 2013 record, Mohammed Hussein Al Amoudi, by over $2.6 billion, to become Africa’s richest person. The United States government yesterday donated a war ship to the Federal Government to enable it checkmate criminal activities like crude oil theft, arms proliferation, piracy and other forms of insecurity in the nation’s maritime environment and the Gulf of Guinea. The donation is coming even as the All Progressives Congress, APC, has asked Nigerians to use their votes to express their dissatisfaction with President Goodluck Jonathan’s alleged inability to fight corruption and insecurity which were the two major challenges facing the country in the last six years. However, the warship earlier known as the United States Coast Guard Gallatin ,USCGG was designed as a high endurance cutter. The ship which was completely overhauled in Charleston, South Carolina, USA, with about $8 million (about N1.34billion) had already been renamed as NNS Okpabana by the Nigerian Navy. Few days after the former Head of State and Presidential candidate of the All Progressives Congress, APC, Major General Muhammadu Buhari, retd, explained in an affidavit submitted to the Independent National Electoral Commission, INEC, that all his academic credentials were with the Military Board, the Army have stated that they do not keep the certificates of any serving or retired officer or soldier. Former PDP National Chairman ,Chief Ahamadu Ali, has been appointed as the Director General of for the President Goodluck Jonathan/Namadi Sambo campaign organization.. The Presidential Campaign Organisation (PCO), according to a statement by the president’s political adviser, Rufai Alkali, was confirmed to be headed by erstwhile National Chairman of the party and Chairman of the PDP Board of Trustees Chief Tony Anenih (National Campaign Adviser). Others are Tunde Adeniran (Deputy DG), while Minister of Special Duties Kabiru Turaki and ex Anambra governor Peter Obi will serve as deputy DGs for north and south, while Chief Femi Fani-Kayode as the Director Media and Publicity respectively. Prof. Wale Oladipo, the Peoples Democratic Party (PDP) National Secretary, has said that President Goodluck Jonathan is the best candidate for Nigeria in 2015 general elections. Oladipo made the statement during the celebration of his 55th birthday in Ile-Ife, Osun, on Thursday. 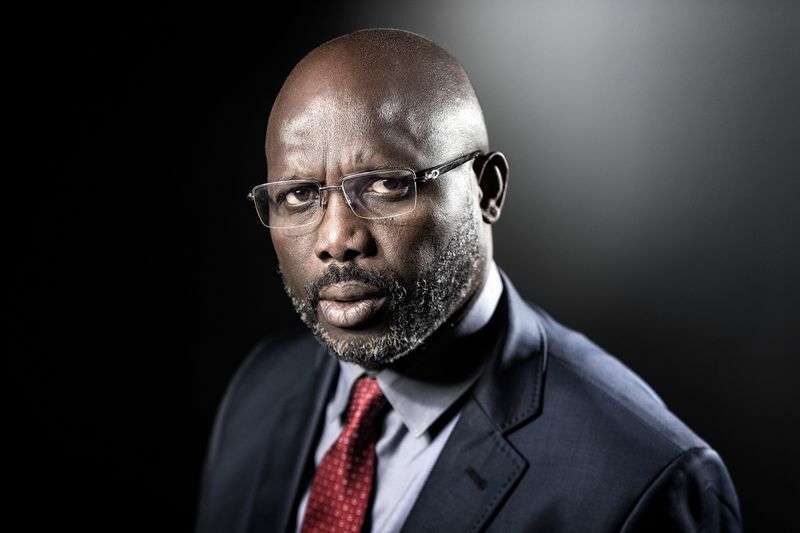 He said that the citizens would want the continuation of Nigeria’s transformation under President Jonathan, saying that PDP would be victorious in the February polls. According to him, former Head of State, Gen. Mohammadu Buhari (rtd. ), APC presidential candidate, a 72 year-old, cannot bring about any change, compared to Jonathan who is democratic. Forme PDP National Chairman, Chief Audu Ogbe would on Jan. 4 inaugurate the sale of five million tubers of yam donated by farmers to raise N5 billion for Buhari/Osibajo presidential campaign. Mrs Felicia Yakzum, The The Public Relations Officer of APC Micro Finance Cooperative Society Ltd, said in a statement on Thursday in Jos that the sales would commence at Mararaban Demshin in Qua’an Pan Local Government Area of Plateau. A former Minister of Information, Labaran Maku, on Friday called on Nigerians to vote for dependable candidates in the forthcoming general elections. He made the call on Friday in his home town, Wakama, Nasarawa, while addressing some of his supporters who paid him a visit. The immediate past minister also urged Nigerians to vote popular candidates irrespective of their ethnic or religious affiliations. “Nigerians must know that in this 21st century, elections must be based on issues and not on religious or ethnic affiliations,’’ he said. Mr. Maku called on political leaders, especially those seeking election into public offices, not to be self-centered. Nigerian workers may still need to be more patient as the 36 states of the federation have shunned bank loans to offset the backlog of their workers’ salaries. Ashiwaju.org learnt that the states will have to rely on internally generated revenue as against borrowing to pay their workers. It was learnt that the states shunned the bank loans because the Coordinating Minister for the Economy and Minister of Finance, Dr. Ngozi Okonjo-Iweala, had instructed banks not to grant credit facilities to them without her approval. Some of the states have, however, adopted other strategies to shore up their revenue such as slashing the salaries and allowances of political office holders, if necessary and plugging loopholes in their revenue-generating drive. The Kwara State Commissioner for Information, Mr. Tunji Moronfoye, confirmed to one of our correspondents that Okonjo-Iweala had, on three occasions, turned down the state government’s application seeking approval to borrow money from banks. The General Military Court Martial set up by the authorities of the Nigerian Army to try some soldiers of the 111 Special Forces Battalion, Maiduguri, have again condemned four soldiers to death by firing squad. Investigations revealed that the President of the Court, Brig.- Gen Musa Yusuf, found the four soldiers guilty of conspiracy to commit mutiny and thus sentenced them to death. It was learnt that the court condemned the four soldiers to death on December 24, 2014. The GCM had earlier convicted 54 of the 59 soldiers to death after finding them guilty of conspiracy to commit mutiny on December 17, 2014. The Nigerian section of social media is horrified by President Goodluck Jonathan’s comment that Dec. 28 was the New Year. This gem dropped while Uncle Lucky was speaking with journalists following his visit to former President Ibrahim Babangida in Minna on Sunday. To me, this is not a big deal because in a round world (not flat, as Thomas Friedman claims), Dec. 28 could have been January 1 somewhere though it was just Tuesday morning in India – which is how far I mapped the time zone. There is always outer space to consider! The President also said IBB is his “fada.” My response? “No Sir, you are no son of IBB’s!” A man “fada-ed” by IBB would have known better than to claim him so publicly 45 days to a critical election in which he seeks a mandate for four more years. If he wins, President Jonathan will tie with General Yakubu Gowon as the longest serving head of state in Nigeria, longer than IBB! A father from Detroit, Michigan has released a video of his baby daughter interacting with a 13-foot Burmese python, in a bid to dispel the snakes’ poor reputation. Jamie Guarino, a professional snake handler, filmed his daughter Alyssa playing with the family’s pet python, Nay-Nay, at their home in Warren, a suburb of Detroit, when she was just 14-months-old. As the Daily Mail reports, he has made it a personal mission to educate people about snakes, attempting to dispel the perception that pythons and their ilk are dangerous. “I was trying to show that snakes are not evil creatures, they can be a loving pet despite their bad reputation,” he said. Two-hundred and sixty-two days after their daughters were kidnapped from school, some of the distraught parents of the students of Government Secondary School, Chibok, Borno State, on Thursday criticised President Goodluck Jonathan for not fulfilling his promise to rescue the girls from the custody of Boko Haram. 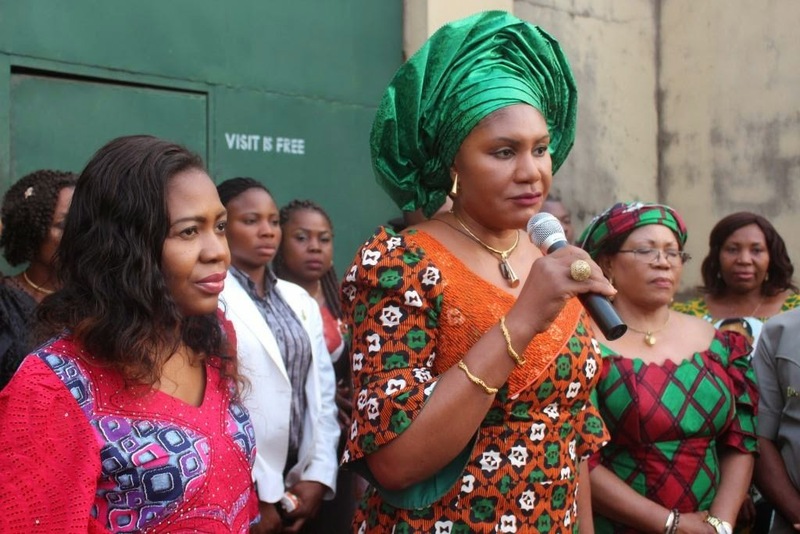 The abduction of the 219 girls from their hostel at night on April 14, 2014 has attracted global outrage and the President had promised several times that the girls would be rescued alive. The leader of the parents, Rev. Mark Enoch, accused the government of having a hand in the abduction of the girls, noting that the principal of the school in Chibok had, few hours before the abduction, locked the girls in their hostel and warned them not to leave. Renowned Catholic Priest, Rev. Fr. 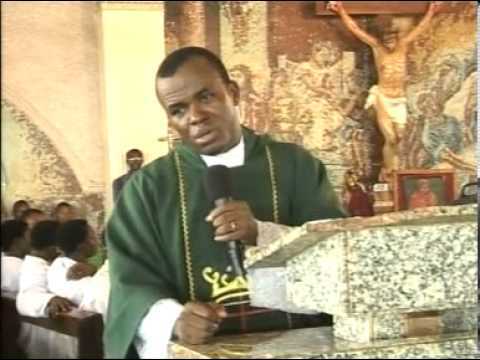 Ejike Mbaka, has urged President Goodluck Jonathan to abandon his re-election bid so that the All Progressives Congress candidate, Maj.Gen Muhammadu Buhari (retd.) 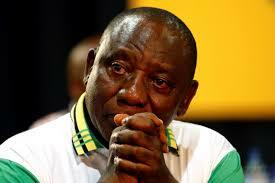 can emerge the winner of the presidential election next month. Mbaka subsequently knelt down in front of the altar, cried and asked God to give Nigeria a good leader and not Jonathan. He used the opportunity to beg Nigerians to vote wisely in the forthcoming elections. The Peoples Democratic Party has said that it is wooing former members of the party, including former Vice-President Atiku Abubakar and Kano State Governor, Alhaji Rabiu Kwakwanso, who defected to the All Progressives Congress to return to the party before the next general elections. The PDP National Secretary, Prof. Wale Oladipo, who stated this on Friday at a press conference in Ile-Ife, said the party had begun moves to bring back the former members. Six weeks to this year’s general elections, the Federal Government has yet to appropriate the remaining N75bn out of the N120bn budgeted for the conduct of the poll by the Independent National Electoral Commission. This, according to social commentators, lawyers, and other concerned stakeholders is already hampering the INEC’s preparations for the much awaited elections. Ashiwaju.org gathered that INEC had estimated that it would need N120bn to prepare for the elections, but only N45bn was appropriated by the Budget Office of the Federation in 2014 budget, leaving a shortfall of N75bn. The House of Representatives had recently raised concerns over the general elections, saying that adequate funding and security would determine the credibility of the polls. The House Committee on Electoral Matters said it had resolved to summon the Chairman of INEC, Prof. Attahiru Jega, to brief the lawmakers on the preparedness of the commission to conduct the poll. 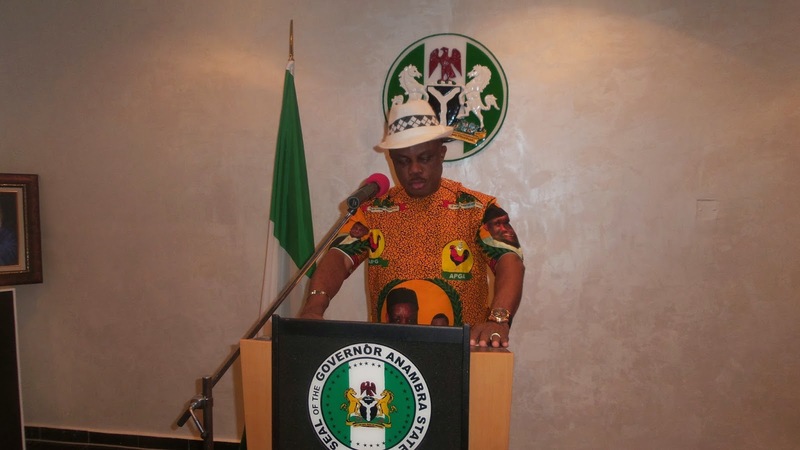 The Governor of Anambra State, Chief Willie Obiano has assured Ndi Anambra that their hopes and dreams for a prosperous year shall not fall with the falling price of oil in the international market. 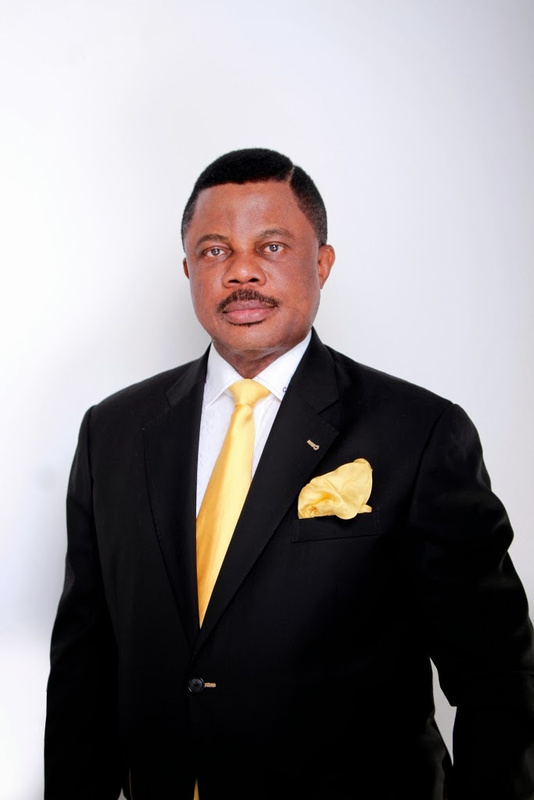 The wife of the governor of Anambra State Chief (Mrs.) Ebelechukwu Obiano has described the birth of the first baby girl in Anambra State in the New Year as a good omen for the people of the state. 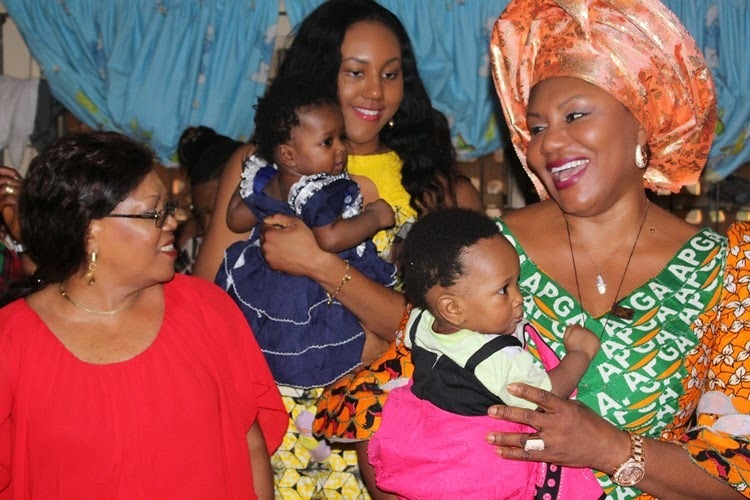 Chief Mrs Obiano who showered the new born who was delivered at 12am on New Year’s Eve with assorted gifts also observed that women bear good tidings which according to her are an indication of a positive outlook for the state and the people in the New Year. 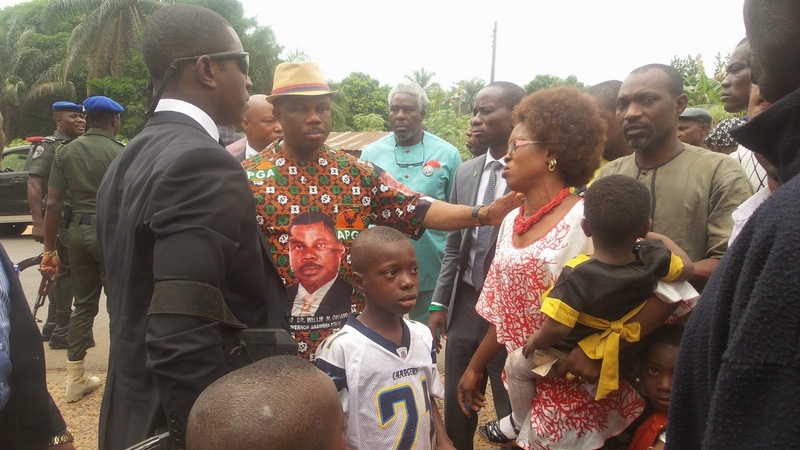 Mrs. Obiano made the observation when she visited the new born on January 1, 2015 at Basic Health Centre, Court Road Onitsha, Anambra State. President Goodluck Jonathan will inaugurate his campaign team on Monday in Abuja, ahead of the February 14 election. A release by the Special Adviser on Political Matters to the President, Rufai Alkali, a professor, on Thursday said the inauguration will take place at the Peoples Democratic Party [PDP] presidential campaign office at Legacy House, in the Maitama District of Abuja by 2p.m. According to the release, the Chairman of the Board of trustees of the PDP, Tony Anenih, has been appointed the national campaign adviser, while a former National Chairman of the PDP, Ahmadu Ali, will serve as the Director-General of the campaign organisation. A former minister, Tunde Adeniran, will serve as deputy director general of the campaign’s head office, while the duo of Special Duties Minister, Kabiru Turaki and ex-Anambra governor, Peter Obi, will serve as Deputy Directors-General for north and south respectively. Every night on New Year's Eve day, Nigerian Christians throng to churches in their millions to pray and listen to prophecies that they believe will guide their lives in the new year. This has become a culture and a way of life. Needless to add that offerings and donation are almost always collected during these church services. Almost every other Pentecostal church leader produces an end-of-year prophecy. Sometimes, the prophecies contradict one another, causing one to wonder how the same God can say contradictory things to different pastors and prophets. A few days ago, news broke that Nollywood actress, Nkiru Sylvanus, is allegdly involved in husband snatching of her fellow nolltwood actress Oge Okoye that led to series of criticism in the media.. The reports further claimed that the pair had concluded plans to get married. However, a family source from Nkiru’s camp who knew about the whole affair, shed some light on the story to Ashiwaju.org . A California woman, Deborah Campbell, disclosed that she has reported President Goodluck Jonathan’s social media aide, Reno Omokri, for identity theft. Ms. Campbell alleged that Mr. Omokri used her son’s name to engage in forgery. In telephone calls as well as emails to Ashiwaju.org Ms. Campbell said she was determined to clear her son’s name and get Mr. Omokri punished. She said she was appalled that Mr. Omokri used her son’s name, Wendell Simlin, to create a Facebook page. Ms. Campbell added that the president’s aide proceeded to use her son’s identity to create a fake document that sought to link Nigeria’s former Central Bank Governor, Sanusi Lamido Sanusi, to terrorism. Seventeen stolen cars were recovered in the Federal Capital Territory (FCT), and 14 of them returned to their owners, in the past one month alone, the FCT police command said on Tuesday. In a press briefing, Commissioner of Police Wilson Inalegwu recalled that upon assumption of duty three months ago, he assured residents of the FCT of the preparedness of the force to rid the city of criminal elements. Efforts in that direction, he said, have yielded tremendous results, including the arrest of 24 persons for various offences. Among the command’s successes, it also intercepted and recovered over 203 cattle from rustlers who operate from such neighboring states like Nasarawa, Niger and Kogi. Akin Akinbobola, an aide to Governor Olusegun Mimiko of Ondo State, may be in serious trouble after he allegedly assaulted one of his female workers, Funmilayo Alao-Kwabe in his office in Akure, the state capital. Mr. Akinbobola, who is the chairman of the Ondo State Football Agency (ODSFA), was reportedly gave Ms. Funmilayo a brutal beating after the two had a row over salary increment at the agency. The alleged victim heads a maintenance department at the agency. Another source disclosed that the fight originated from the chairman’s sudden decision to increase junior employees’ salaries, adding that he then approved a N2000 increase for Ms. Funmilayo, increasing her salary to N42,000. The source, a staff of the agency, revealed that Ms. Funmilayo considered her pay increase too paltry. “She was infuriated and walked up to the agency chairman to demand an explanation. He got angry and began to beat her brutally,” the source said.